From Hwy 20, north of Oak Harbor, turn onto Ault Field Rd. Enter the air station by turning right at the Charles Porter gate (first stoplight). 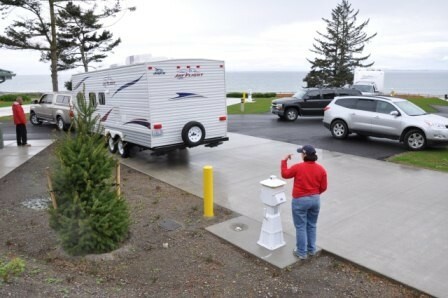 Charles Porter is the only gate accessible to RVs and is open limited hours. If you arrive and the gate is closed, please call (360) 257-3893 to have the gate opened for you. Travel along Charles Porter Ave until you reach Midway St, which is approximately 1 mile from the gate and just past the Skywarrior Theater. Turn left onto Midway. In approximately 1/2 mile, just before you reach a T intersection with Saratoga St. ---- RV Campers: Turn north onto Saratoga, and continue past Midway St to the next intersection, Intruder St. Turn left. Intruder St curves left after approximately 1/4 mile. Soon after the curve, make the first (North Loop) or second (South Loop) right on the two paved roads into Cliffside RV Park. ***RV sites 1 - 26 are in the North Loop and RV sites 27 - 60 are in the South Loop. 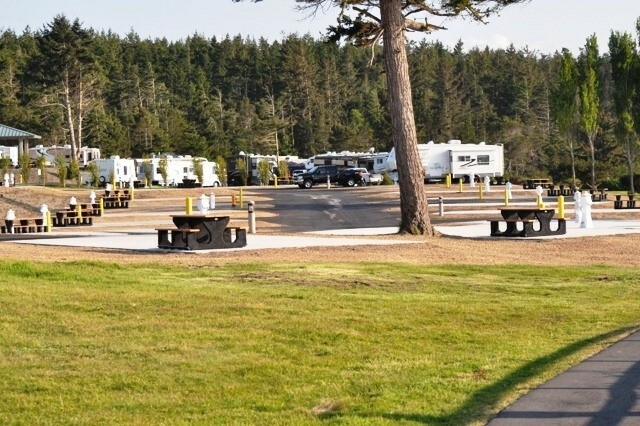 *** Towed vehicles should be dropped prior to entering the campground, either upon check in at Navy Gateway Inns and Suites, or at Costen Turner Park, just before Cliffside RV Park. 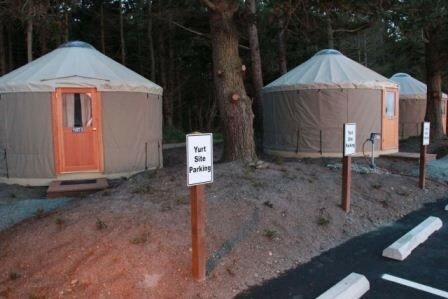 ---- Yurt Campers: Turn north onto Saratoga, and continue past Midway Street to the next intersection, Intruder St. Turn left. Intruder St curves left after approximately 1/4 mile. 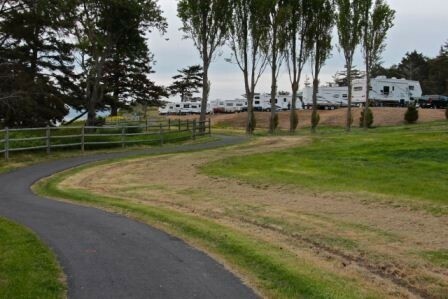 Soon after the curve, make the first right onto the paved road into Cliffside RV Park's North Loop. ---- Tent Campers: Turn north onto Saratoga, and continue past Midway Street to the next intersection, Intruder St. Turn left. Intruder St curves left after approximately 1/4 mile. Soon after the curve, you'll see the entrances for Cliffside RV Park's North Loop and South Loop. Go past both those entrances and turn right onto the dirt/gravel road just past the South Loop's entrance. 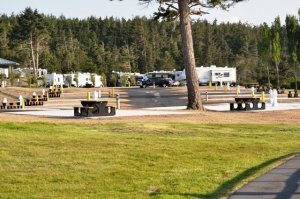 Tent sites are near the water; you may pull your vehicle next to your tent site to unload. Parking is available east of the tent sites, just off the road you pulled into. Reservations are accepted at(877) NAVY-BED. Active duty military may make reservations up to 12 months in advance. Military Retirees, DoD civilians, reservists and other eligible patrons may make reservations up to 6 months in advance. No deposit is required when making a reservation, but we do ask for a Visa or Master Card number and email address in order to hold reservations. Full payment for the duration of your reservation is required upon check-in. No refunds are available for early check-outs. Free WiFi available in the campground, but reported as "slow". Verizon signal is "spotty". BE CAREFUL when using cell data, as it may be going through a Canadian cell tower ($$). Limit of 2 dogs per site. Pets allowed in RV's and tents with usual leash and cleanup rules. 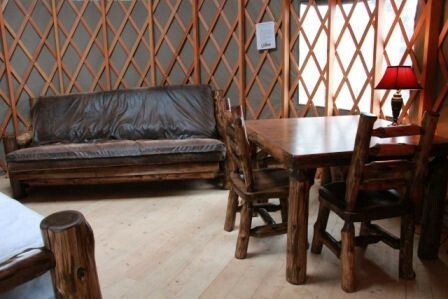 Pets (except service animals) are not allowed in yurts. Stays are limited to 30 days. After a 30 day stay, one must vacate for 2 weeks prior to making another reservation. Higher rates are for peak season (June 1 - Sept. 30). Water view sites are also in the higher range. 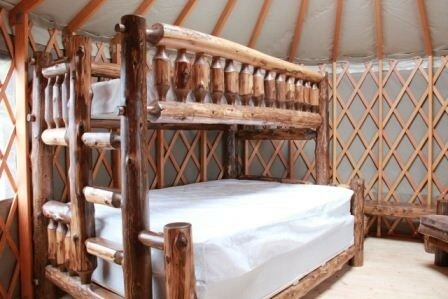 7th night free when paying for 6 nights. Firearms are to be checked into the Base Armory. 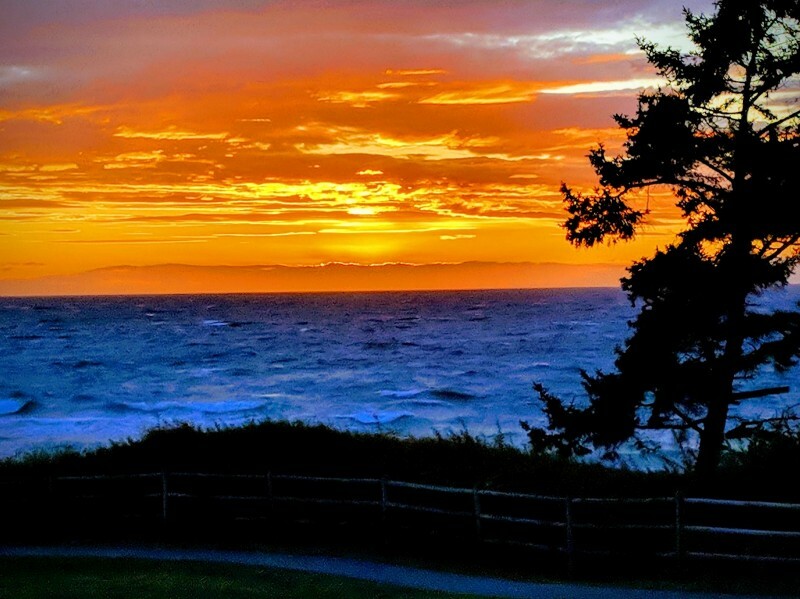 Nestled along the shoreline of NAS Whidbey, Cliffside offers 57 RV sites as well as several tent sites, and six furnished yurts overlooking the Strait of Juan de Fuca, Vancouver Island, the San Juan Islands and the Olympic Peninsula. 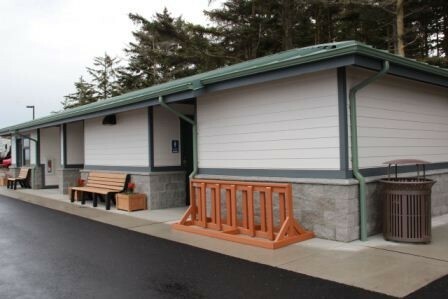 These sites offer water and electrical hookups; there are great restroom and shower facilities in each loop. More than that, these homes away from home provide the ambiance of shoreline living, an open window on an ever-changing marine environment and unparalleled sunsets. 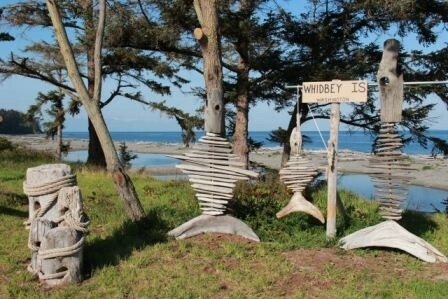 There are several miles of private military beach strewn with interesting driftwood and pretty rocks. This park is awesome! 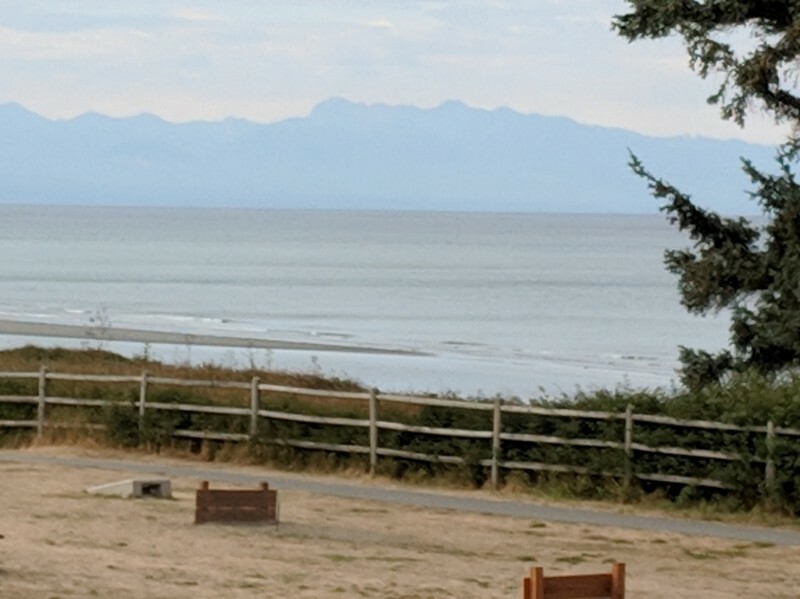 We are in site 34 and have a more than 180 degree view of the water, Olympic National Park, the San Juan Islands, and Vancouver Island. 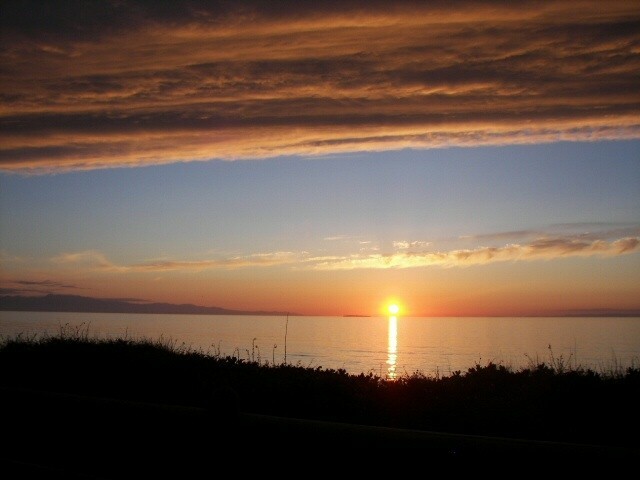 The sunsets are amazing. There is a huge amount of room in between the RV's due to the great layout and the angle of the sites. 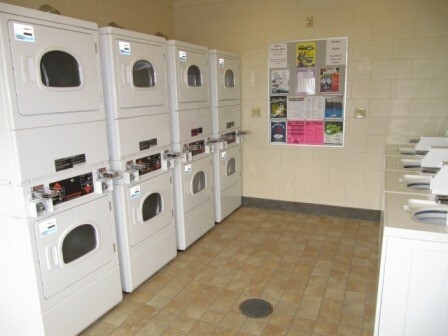 The laundry room and bathrooms are spotless clean and the whole park is neat and tidy. Ken, the camp host/gardener, has done a splendid job landscaping and planting flower beds that are so nice. We have traveled the country from end to end and this is our #1 park. The wifi is good - they use the Navy's Gowifi and it is fast enough and very little to no interruptions. The Verizon cell signal is 2 bars with LTE. There is one annoyance, but it isn't the fault of the park. This is a Naval Air Station and they do flight ops every week day. The touch and go's can last until 10:30 at night. Make no mistake about it - they are loud, very loud. Some days are not so bad and some days..... The noise would not keep us away from this park. We will be back hopefully sooner than later. This has been a wonderful month at a spectacular park. 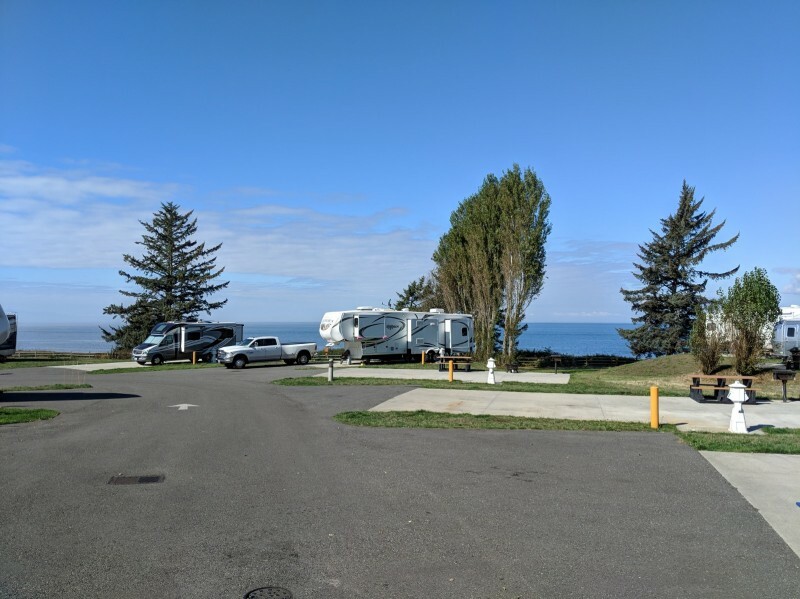 We camped at Cliffside RV Park in a Fifth Wheel. A great spot. Lucky to get reservations. The staff was outstanding! The host dedicated extra time to planting a caring for a wonderful flower garden throughout the campground. There are two loops, north and south. Be sure and call the day you are arriving to make sure what loop you are in. They pressing you a spot that day and will let you drive to it before checking in. There is NO room to park at the office with your rig checking in. The directions to get here are spot on, with one exception, the Porter gate is now open 24 hours. Be sure and unhook your toad at the ball fields. We were a little disappointed in the laundry facilities. 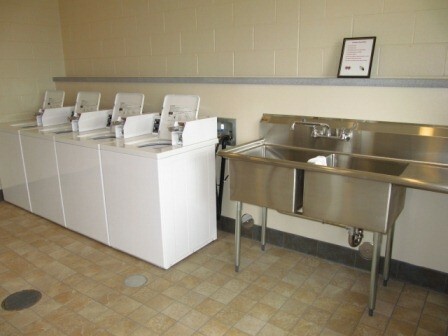 Only 2 washers and 4 dryers in each loop. There are spots for more, and the photos show there used to be more. 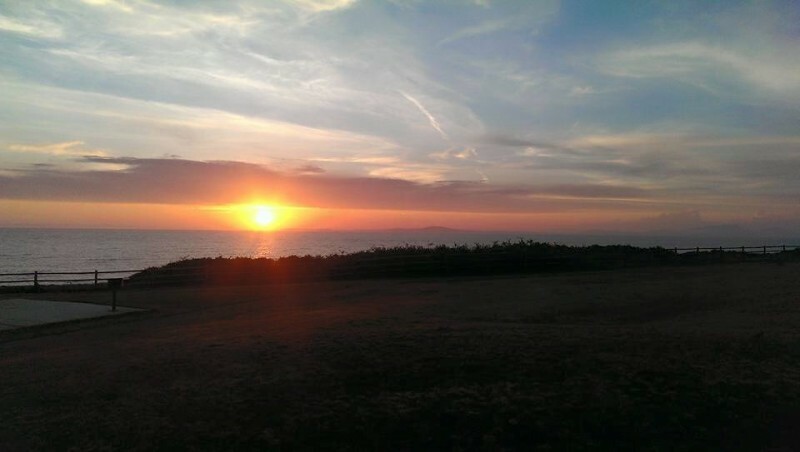 The beach is adjacent to the park and a wonderful place to walk and watch the sunset. Will definitely stay here on all our trips to the San Juans. This has GOT to be the crown jewel of the military RV park system. On a bluff, above the ocean, nice breeze, with beautiful views. Ask for ocean front and then pull into your space. 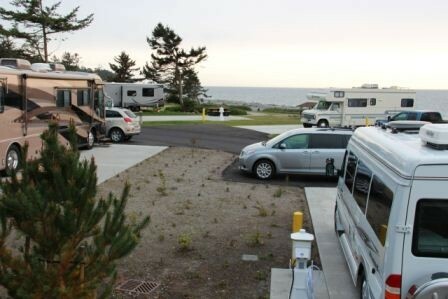 We were able to have the spectacular view for 10 days by running our utilities under the RV. Site office was manned by super friendly folks. There is a Wendy's on base and there is a well stocked mini NEX store (Shopette for you Army/AF folks) right behind it that we didn't notice until the end of our stay. Otherwise the (big) NEX main store and commissary are about a 10-15 minute drive on another nearby installation. Beware -- the jet noise (FA-18s, P-3s, P-8s, and the occasional USAF cargo plane) is REALLY loud and go can on into towards midnight or later. Luckily I can sleep through just about anything, but it you are a light sleep this could be an issue. Otherwise, make your reservation well in advance and enjoy this little slice of heaven. After reading all previous reviews I decided to add a more recent one. I agree with all previously stated reviews, and it's just a matter of what your needs are. The staff is the most attentive than most military campgrounds! And love the fact that CHARLES PORTER GATE IS OPEN 24/7???? 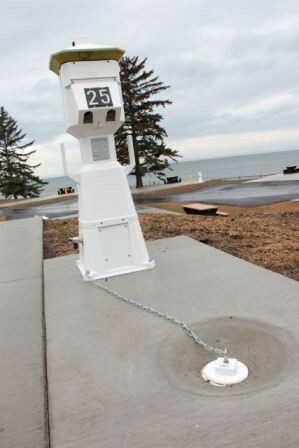 In addition, please be advised that the only "Dump station" is on the sewer campsites. There is no separate "Dump Station!" 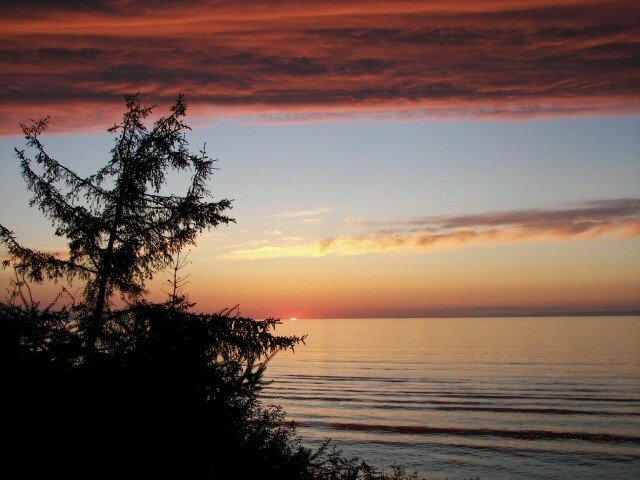 I have a son stationed here, and this is my third year staying here for the summer "on and off" I wish the campground was on the other side of the island, on the Sea Base side. Near the NEX & COMMISSARY" AND GRANDCHILDREN! Also, it's warmer and the jet sound is hardly noticeable. A win- win all around!? Maybe they will build one there since this Cliffside is almost always fully booked! 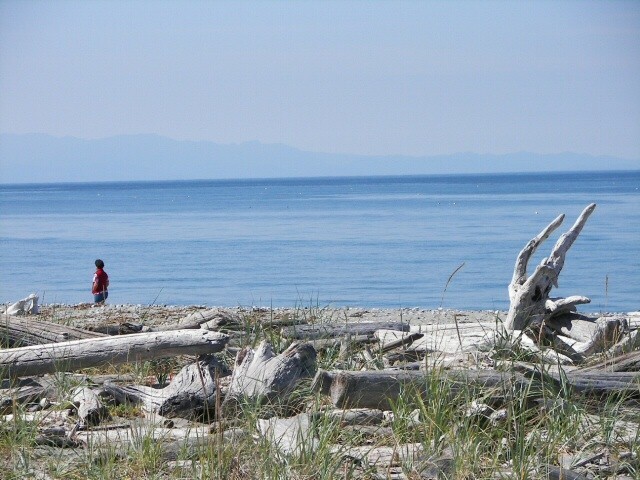 We spent a lot of time exploring the islands and PNW (Pacific NorhWest.) We are sad that my son is next stationed in Virginia. Please come and enjoy!!! And wear earplugs if you need too? Two Big Changes 1. Charles Porter Gate is now 24/7. It used to have short weekday hours and was closed on the weekends. 2. 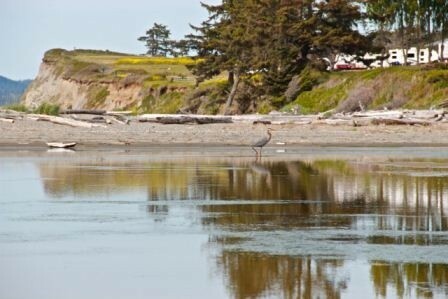 Water view sites are now $36.00 per night. No weekly or monthly discounts. All the great comments made by others still applies. Love this place! If you love the sound of jets this is the place to go. Grounds are clean and pristine. Views are worth a billion. Weather can go from beautiful sunny to foggy and wet. The constant jet noise is why I do not give a full 5 across the line. The jets can go until 1 am and the touch and go can last 2-3 hrs. No plans on returning, which is sad as we love the area and friendliness of the people. Cannot say enough good about the place. Great camp hosts, great office staff, great views and great summertime weather. 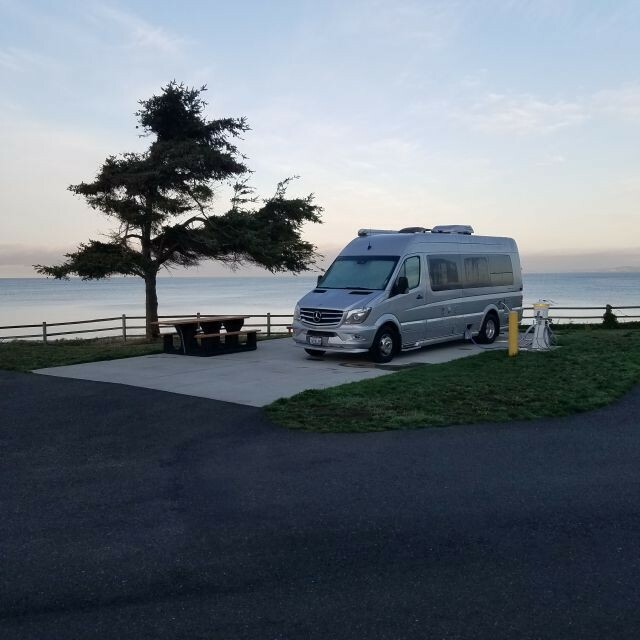 We are a 45' motorhome and they found us a site (#3) where we could back in and while there was a bit of overhang in the back, my front end was off the road and my back tires were still on the concrete. Even saw a pair of eagles nesting in a tree by one of the running paths. Quite a sight! Nice commissary at NEX at the old sea plane base about ten minutes down the road. If you want to visit Seattle, there is a ferry at the south end of the island that is less than $10 for a passenger car. The ferry ride is about 30 minutes. In 2018 they are have a price change for the water view sites. 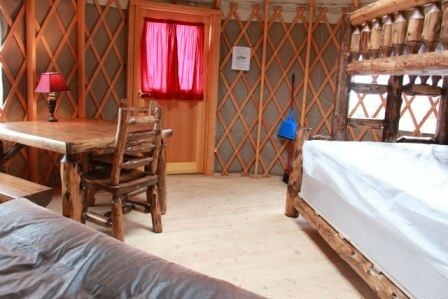 They are going up to $36 a night for active and retirees. Still a good deal as far as we are concerned. The RV gate we were told is closed from 11:00 AM - 12:00 noon for lunch each day. This is our third time at Cliffside and it just keeps getting better. 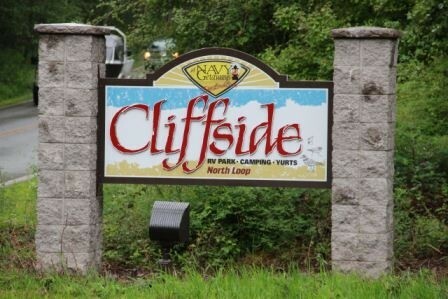 We are from the mountains of NC and for the past two years we have started our winter vacation here at Cliffside. Our friends from Oregon joined us this year for 10 days and fell in love with the location and the park and amenities. In addition to enjoying just relaxing and enjoying the beautiful scenery, we use it as a base for day trips. Friday Harbor and Roche Harbor on San Juan Island as well as a drive down the Oregon Coast were highlights of the trip this year. 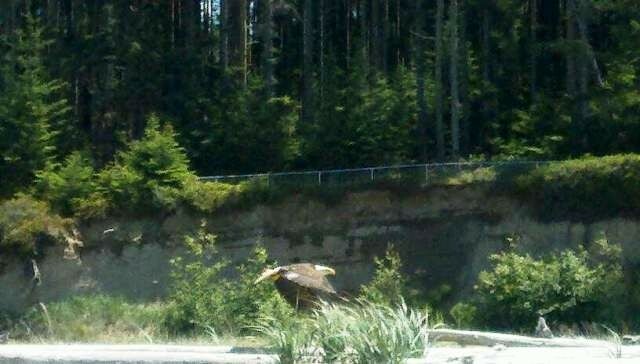 We also had the good fortune to see a large Bald Eagle "guarding" the end of one of the runways. What a majestic sight, particularly on a military base. Kudos to Ken, Rob and Greg, and the rest of the staff for making this one of our two favorite stops on our CA trip. I will not repeat all the favorable comments from other campers, suffice it to say that this is an experience not to be missed. Fantastic place to call home for a day or a week. A+. Ken's care of the park is one in a million. Thank you for the hospitality, we look forward coming back one day. Price is $35 for a night and $240/week but we heard they will be up-charging for waterfront row in the future. Enjoy, we sure did. Price in now $35.00 a night. Looking forward to our stay as always. Have stayed here many times, and have always enjoyed it. This is by far the nicest RV park I have ever stayed at. I hate staying at parks that feel like "trailer parks" if you know what I mean. This was no trailer park. The grounds are kept in immaculate condition. Grass nicely mowed, flowers everywhere, etc. We stayed in spot 9, but I don't think there is a bad spot in the place. 9 was really nice. We didn't get to select a site, but was very happy with what we got. There are 2 loops. South and north. The office is in the southern loop. We were on the northern loop. 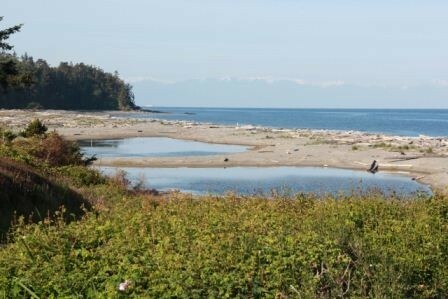 The sites on the northern loop are a little closer to the water, and our site felt like we were right on the beach. The small roads going into each loop are tight but manageable. When arriving, there is not a lot of room to park your rig while checking in, but I managed to sort of pull off to the side. Checkin was painless and the 2 gentlemen there were very nice. I paid $35/night. If you have a satellite, you will probably be good anywhere in the northern loop, and anywhere on the west side of the southern loop. If you download the brochure, it has a map of all the site. I printed this before I left and kind of had an idea of where to go and what sites I was interested in (again, I didn't get to choose). This park was full, even during the week, but again, very nice and clean. I didn't see any obvious rigs that looked like someone lived there. Lots of nice rigs. My fifth wheel is right at 36' long and fit nicely on the pad. No overhang at all. I still had another 6-7 feet towards the front. Pads are level and plenty wide. We managed to have our picnic table and some corn hole boards setup right on the pad. Plenty of room between each site as well. You are not right on top of your neighbor. 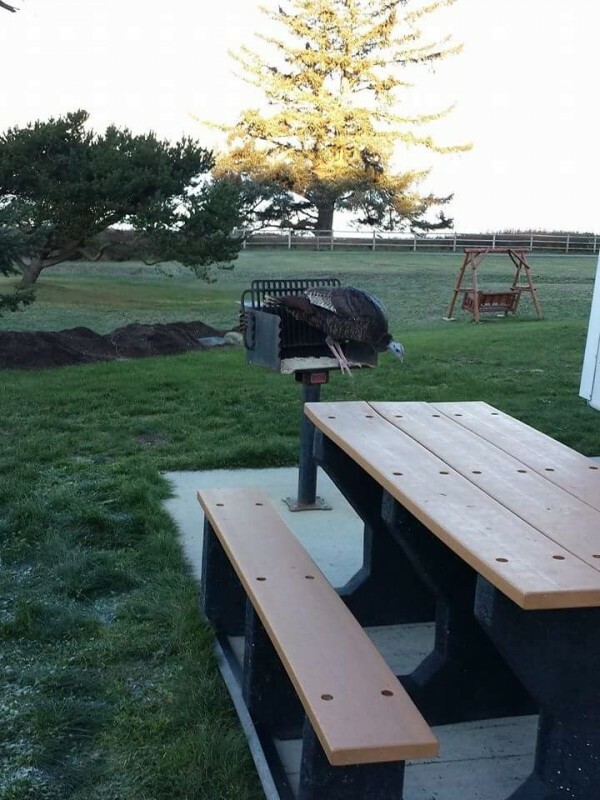 Each site does have a grill, but no fire pit. They had portable fire pits everywhere so I just took one and used it (I bring my own wood). Very nice hookup stations. Sewer (with threads!! ), 20, 30, & 50A, water. Wifi worked great. We have verizon and the service wasn't very good. Actually got no service on the north side of whidbey with limited service on the air station itself. Non issue since wifi was great. Plenty to do around the area. The base is really nice with a Wendy's, mini-NEX, bowling alley/arcade area, lots of fields (football/softball/track), large playground, gym, etc. The main NEX and commissary are south of the air station, about 10 minutes away. This place is great, but it's kind of like Pacific Beach in that if the weather is bad, I bet it can be miserable. It was sunny and beautiful all 4 days for us. I heard about Ken in the reviews but never met him. His work is obvious with all the beautiful flower gardens EVERYWHERE. Really is nice to look at. I didn't use them but walked through the bathrooms and laundry. All looked new and up to date. Super clean. Plenty of room to park your tow vehicle as well. Nice path that runs between the sites and beach. It goes pretty far north past all the sport fields. Jets and P-3s flying constantly. As far as I'm concerned, the sound of freedom never gets old! Didn't hear it during the night. 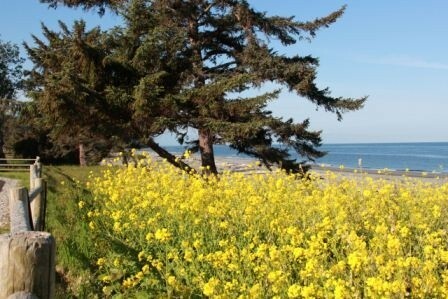 This is also close to Deception Pass state park, which is ridiculously beautiful. We went there everyday and hiked. We've stayed at military RV parks across the country & this is one of the best thanks to Ken. There's plenty of space between the level concrete pads. The hook ups were conveniently located & easy to connect. Wifi worked well. ATT cell worked from motorhome but not from laundry room, which was clean & inexpensive (2 washers $1.50/load, 4 dryers .50/load). 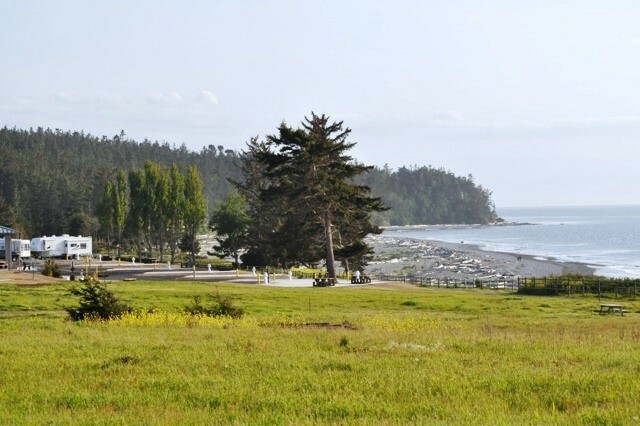 Every site has view of ocean, picnic tables, concrete patio, grass &/ or flowers on either side. 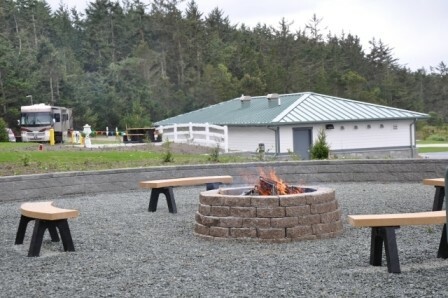 Fire pits available for free with purchase of wood. Jet noise can get loud, especially 10:00 at night. But it's a military base with a mission so that's not really a negative. Did I mention Ken, the host/gardener extraordinaire. We've never seen so many beautiful flowers, & strawberry's you can pick. Ken really cares about this park & makes sure it's always a beautiful place to stay. Oh, & free popcorn on Fri. I really don't know where to start. We arrived after 6 days of hard driving from NC and were welcomed with open arms. We had stayed here in 2009 in the "old" park after traveling in Alberta and British Columbia for several weeks. Even back then it was a wonderful respite from our journey. Ken, the camp host, is still here after 13 years and a COMPLETE camp renovation. The facilities are without equal as are the beautiful gardens and plantings that Ken has created. He never seems to stop working to make the park more beautiful. He was in the process of digging up 2,000 dahlias to be transplanted next spring. I cannot make enough positive comments about the staff. They are on from 10:00AM to 6:00PM every day except holidays. We had some medical emergencies, me with a lacerated cornea and my wife with shingles. They directed us to the ER in Coupeville where the care was outstanding; never waited more than 5-10 minutes (I never even got to sit down). My wife's bout with shingles necessitated that we extend out stay a few days at a time. The staff could not have been more accomadating. They worked with us even though Thanksgiving was on the way with many visitors arriving. We have stayed at many military RV facilities, and I have never stayed at a better one. If there is a better military RV facility, I have not found it. This is one of the cleanest RV camps I have ever been at. The bathrooms and showers were the best I have seen. 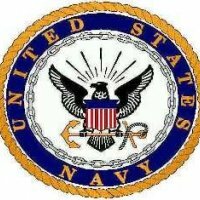 Is there aircraft noise It is a naval air station. Both my wife and I got a full 8 hours sleep every night. We enjoyed the walking path above the beach and the beautiful views. There is no pool but there is an ocean. The NAS has done a fantastic job renovating this camp ground. KUDOS to them. The directions are right on except that the first stop light street is Goldie so if you are looking for a street name of Charles Porter it doesn't start until you go through the gate. When turning right at the first stop light on Goldie the gate is about 100 yards ahead. We arrived on a Sunday and the phone number worked well. It was less than 10 minutes before the Base Police arrived and opened the gate for us. They will check your ID prior to opening the gate so be prepared. When you get to N Saratoga St and turn right (it' a "T" off Midway) just before turning left on to Intruder ST there is a large parking area on the left. I'd suggest unhooking there but we unhooked in the theater parking lot. The other suggestion will work also. There are some red board signs out in front of the North and South park area and if you name is on the board that is the one you want to pull into. Pick a spot that is open. In our case we were not on either board so we went to the second park (North), pulled in, and the host came out to greet us. We then moved to the South park. 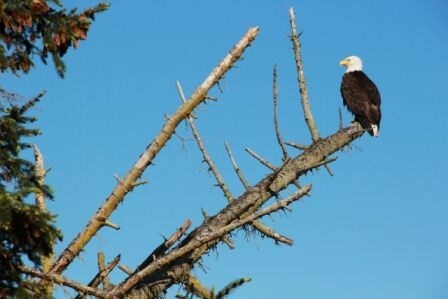 Saw Orca Whales and a Eagle sat in the tree behind us for over an hour having lunch. I have been coming here every year, sometimes multiple times per year since 2004. 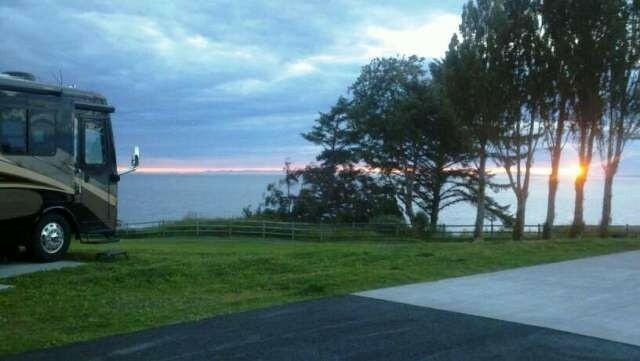 This is the finest RV park in America. The primary Camp Host (Ken) is amazing and keeps this place spotless. He is tireless, working 7 days a week all year. 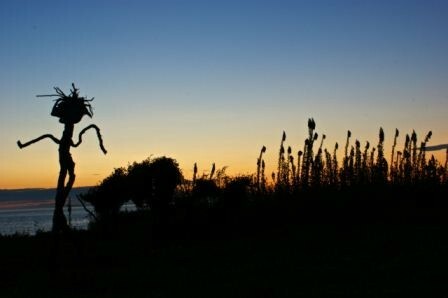 He has planted the most amazing flower gardens in any RV park anywhere. The facilities are top notch. 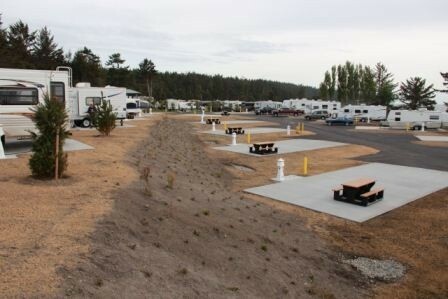 Close to everything and lots to do in the RV park, on the base and in the surrounding areas. Two minutes and you are on a beautiful beach. Many trails and paths to walk. Military aircraft coming and going from the base airfield are enchanting. Great base bowling alley to have family fun. Their pizza is awesome. If you come, you will come again. If you read a review criticizing the camp host consider the source...Any former military person who come to an airbase and expects that military aircraft do not fly in and out is having a serious issue with their thinking....again consider this when making your decision to come. The RV park is on the base so it is totally secure. I have never locked my RV here during the day. Your kids will be totally safe here. I love this place. This place is beautiful and well-maintained. Be prepared for lots of aircraft noise that goes on for hours. We were not as enamored with the host as most others seem to be, but that just reflects our experience.